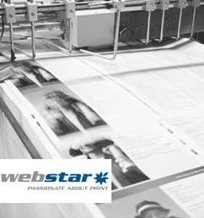 Webstar are one of Australia’s leaders in the print media space and have forged a reputation for unrivalled flexibility, quality and reliability. They print more than 150 magazine titles, catalogues and corporate publications each month. Always seeking productivity improvement opportunities, A&D Australasia were called upon to assist Webstar in devising and implementing an effective and reliable method to reduce overprint in some titles, i.e. make sure print runs were consistently closer to targets thus reducing waste in materials, energy and manual effort. Reviewing Webster’s requirements, A&D Australasia utilised their unique skill set of Automation Engineering and Weighing Instrument Manufacturing to take on the challenge. “If you can’t measure it, you can’t control it” is the mantra at the heart of A&D’s process improvement philosophies. Utilising a precision compact balance to set initial sample weights and a SCADA package custom-built by A&D TechEng, output weights were then tracked on a larger 2000kg scale with real-time feedback to the main system. Improvements to the commercial print operations were instant. Aside from the customised Electrical Engineering design by A&D TechEng, this project was rolled out using “off the shelf” A&D Weighing instruments and the local expertise & support of A&D Platinum Partner Precision Calibration Services (PCS). With their local know-how and responsiveness, PCS are able to support this system with ease, providing the client with complete peace of mind. A&D EK Compact Precision Balance facilitates accurate sample weights for initial setup, reducing irregularities with insert materials. 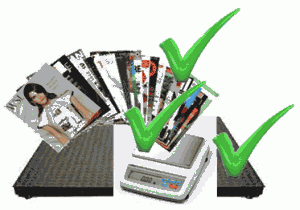 A&D3000 2000kg Pallet Scale (proudly made in Australia) monitors the final mass output, eliminating the time and variance associated with manual counts. A&D TechEng SCADA solution delivers easy operator interface and management feedback. PCS provide local service and calibration support to keep it all running smoothly. A&D Australasia were proud to be a key part of this success story with yet another innovative weighing solution.